How to make false ceiling design for hall or living room with different materials and how to choose false ceiling color and lighting in your living room ceiling - one or more levels ceiling? 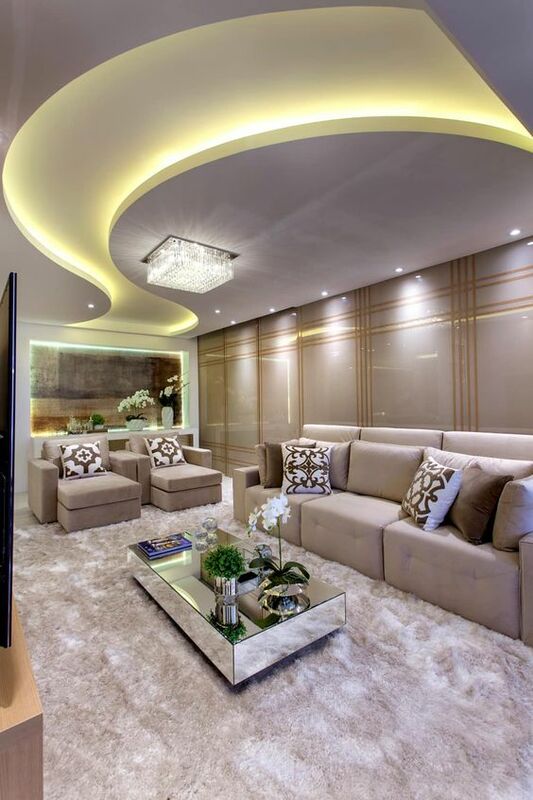 The integrity of the design of the living room depends on many factors: furniture, general stylistics, decoration of walls and ceiling. At last, I would like to dwell in more detail: it has long been an independent element of decor. 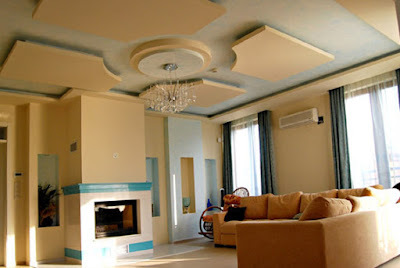 The easiest way to decorate the ceiling quickly, beautifully and inexpensively is to make a false ceiling. 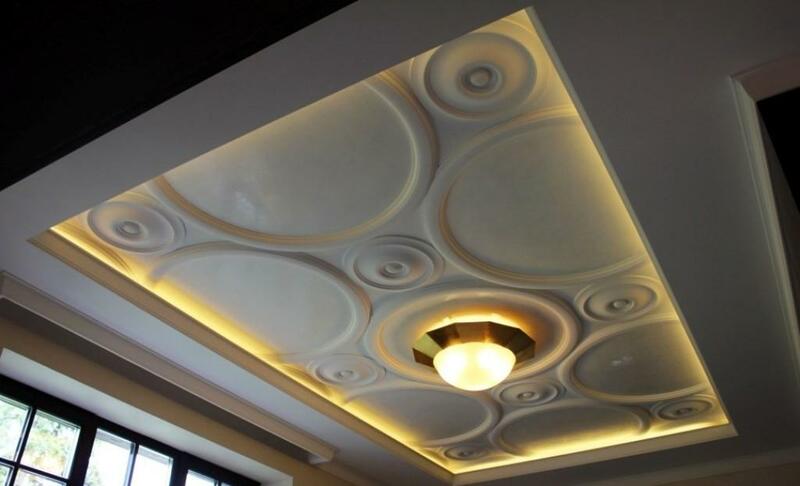 Durable and lightweight material is popular with builders and interior designers. 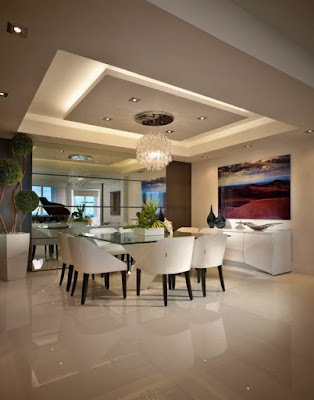 If you pay attention to how the false ceiling looks at the photo in the hall, you can note a huge number of design options. The size of the hall. Some solutions are suitable for small halls, while others require a large space. The general stylistics of the hall. Sources of artificial lights in the hall. Let us consider in more detail the main criteria for choosing false ceilings for a hall decoration. 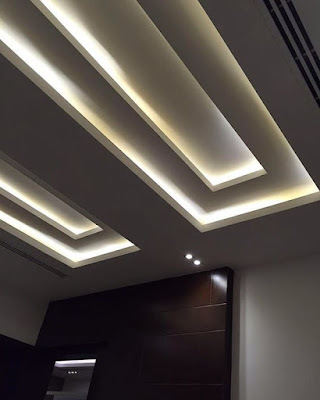 One or more levels of false ceiling design for hall? 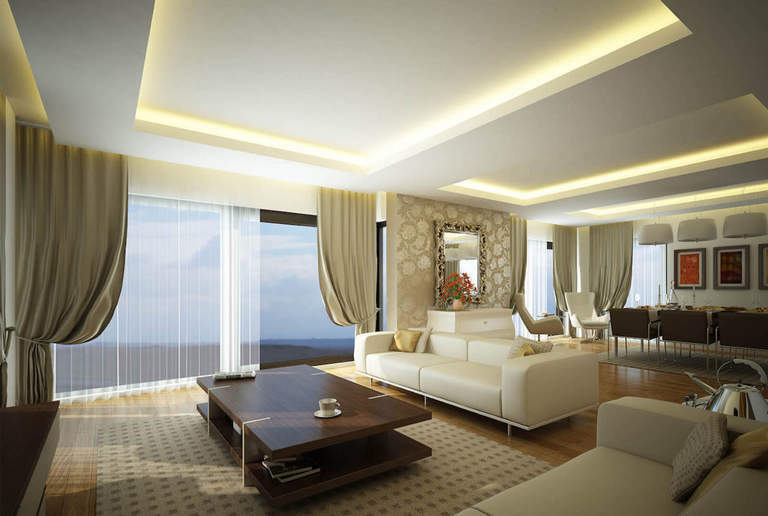 Multilevel ceiling designs look good in spacious halls with sufficiently high walls. 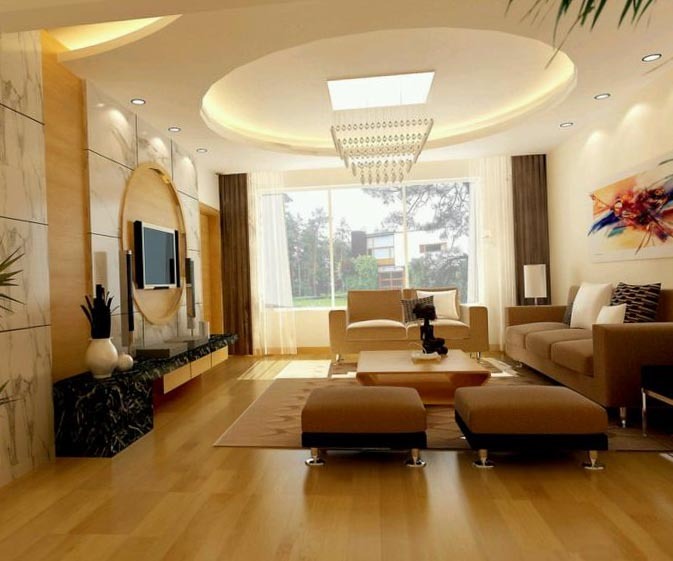 In small it is better to avoid them - they will visually reduce the room, make it cramped. 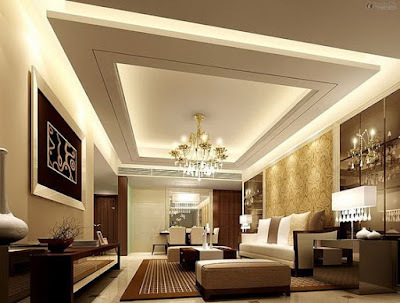 It is not necessary to think that a single-level false ceiling design is a boring monophonic. Below we give some examples of how to make it a real designer masterpiece. 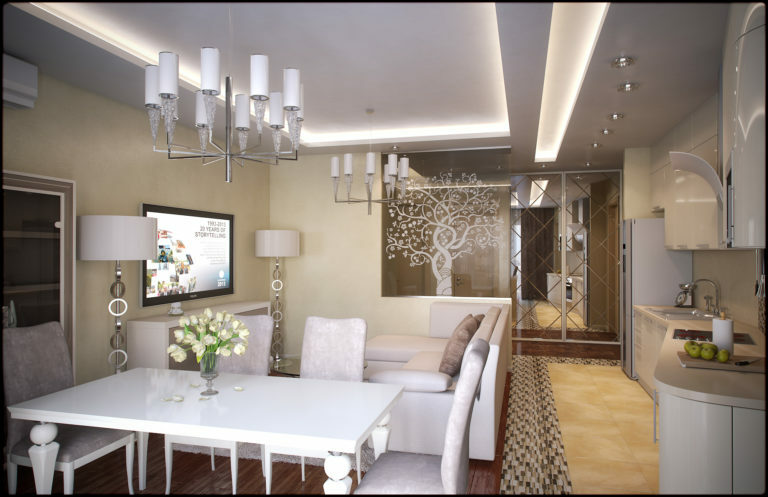 In a small living room and halls, the one level or simple false ceiling design can revitalize the interior, add raisins. In addition, it is easy to lay this ceiling with your own hands, which means that you will save on the services of repairmen. You can study the installation in detail in a separate article. 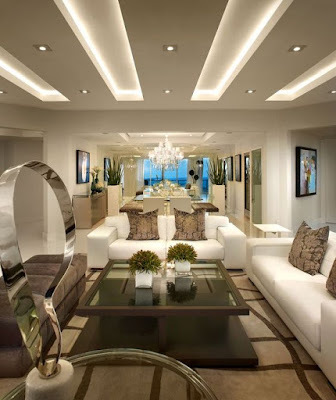 Multilevel ceilings are best used wherever space allows - in large halls. Such designs are quite diverse. Let's talk in more detail about the most popular types. The easiest way to install a two-level false ceiling for hall is a frame. In fact, you just need to install a free-form plasterboard box. 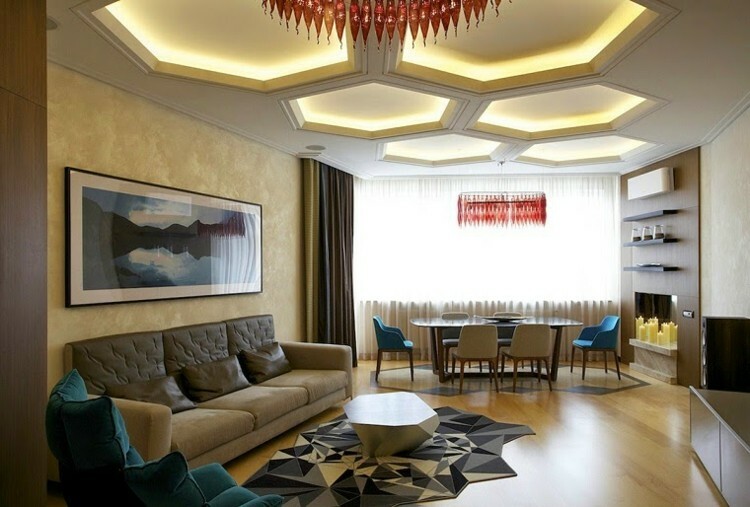 It can frame a chandelier, a different color material, a decor. 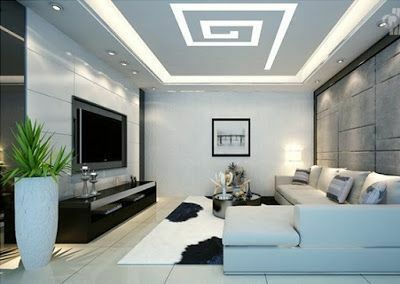 The method is also convenient for zoning: the LED-illuminated box nicely allocates a sofa or a zone with a TV. 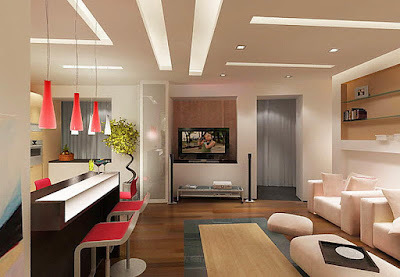 However, be careful with the choice of lighting - cold colors are not suitable for small rooms. It is interesting to see the diagonal type. In this case, the false ceiling for hall must be divided diagonally (or several). And it is not necessary to use clear straight lines. Due to the flexibility of the canvas, the borders can be given almost any shape. 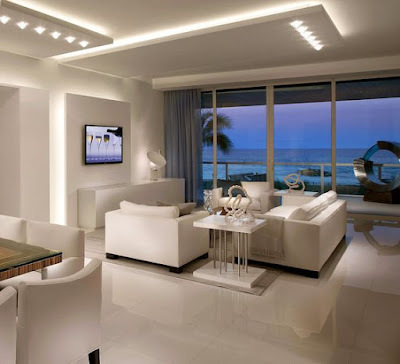 Rational is the use of zonal design - a change in height allocates one or more zones. 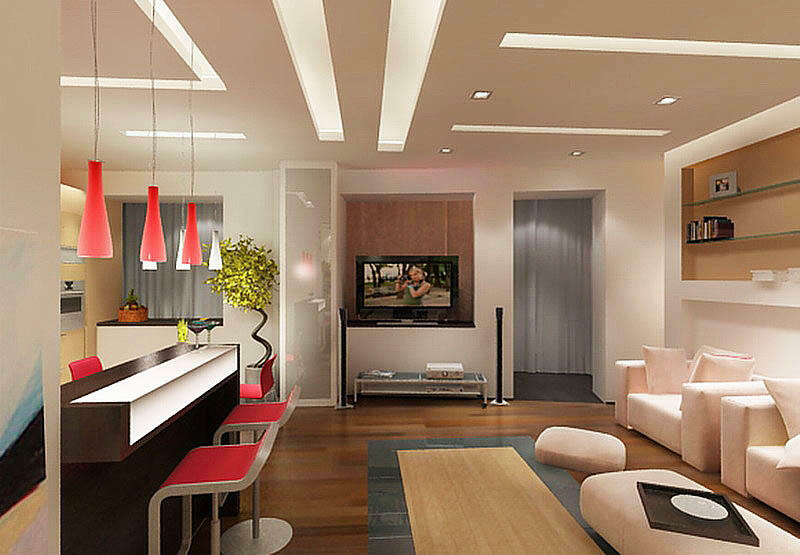 Most often this method is used in studio apartments, where the hall is combined with a kitchen. The complex false ceiling for hall with the use of design elements, for example, arches or hanging figures. Suitable only for rooms with high walls. The main rule that should be observed is to avoid congestion. 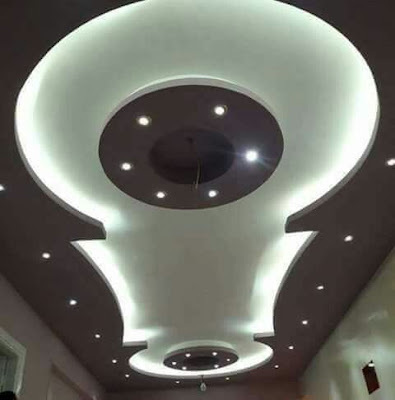 Better to do with a couple of designs than trying to place on the ceiling all at once: by this you can use the entire effect. 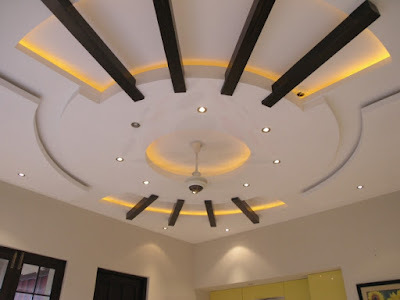 Choose the type of false ceiling design for hall not only from their desires but also given the configuration of the room. In this case, the design project is realized in a beautiful and cozy room. The importance of correct light is difficult to overestimate. It is able to influence the perception of the size of the room no less than the choice of color or type of ceiling design. 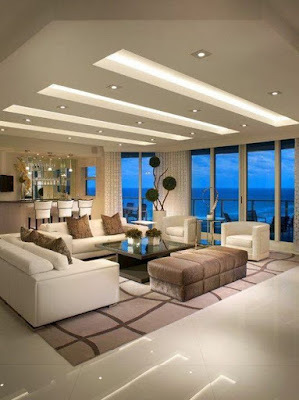 If you want to visually enlarge the room, use bright lighting sources: they will add air and space. 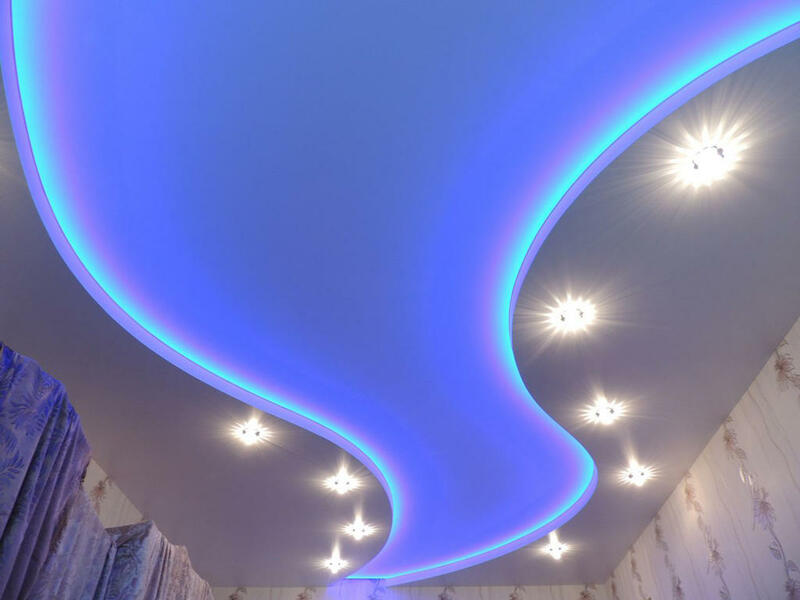 Another spectacular, but easy-to-install technique is the illusion of a floating ceiling. 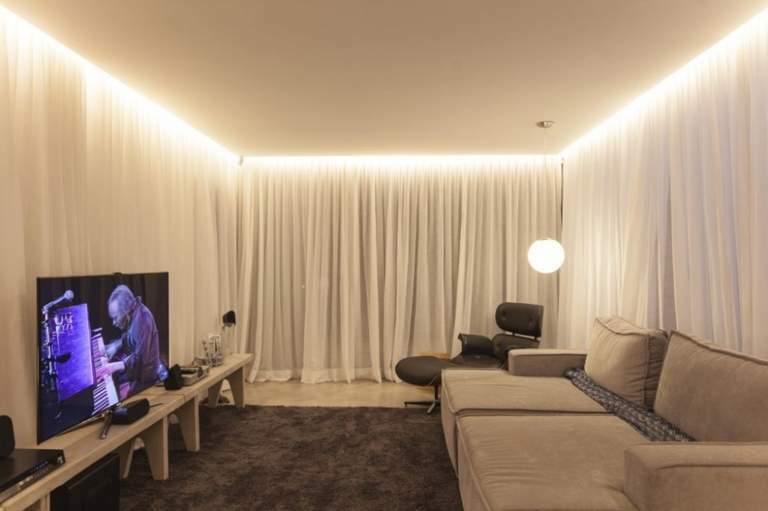 You need to mount the second level in the center, which is highlighted by invisible LEDs outside. Thanks to this the room looks much higher, it creates a feeling of lightness. 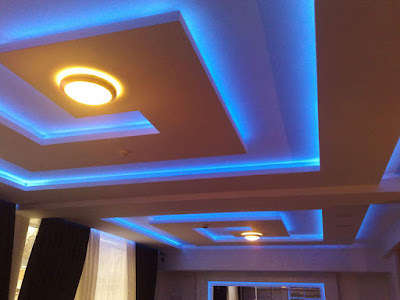 Important nuance: We recommend that you also evaluate the combination of the chosen ceiling color with the light source: some lamps, especially energy-saving, can distort the hue. It is not necessary to use large chandeliers in small halls - it is better to dispense with spot lights. In large rooms, on the contrary, a beautiful lamp will be appropriate. In this case, the use of LED strips and small bulbs is not prohibited - they can play the role of a beautiful light accent. In addition, the first can be used to create highlighted shapes - for example, stars or flowers. 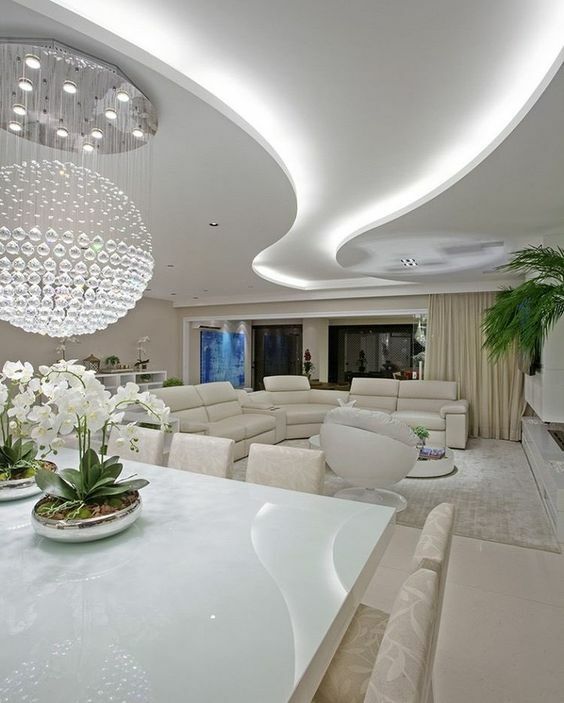 In addition to additional lighting, this technique is simply very beautiful. 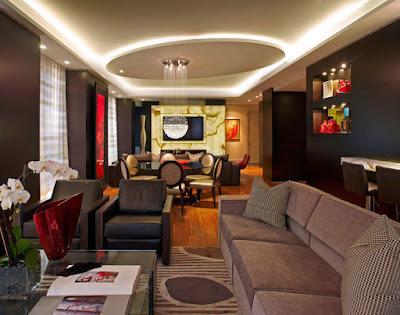 The color solution is capable of both emphasizing the beauty of the room and spoiling the whole design. A large color palette gives an opportunity to fool up fantasies. However, do not pursue the brightness: the combination of more than three colors will be unnecessarily variegated. This wears the eyes and has an irritating effect on the psyche, so it is better to refuse such options. The versatility of plasterboard coatings is also evident in color: you can choose between gentle pastel tones and bright shades. 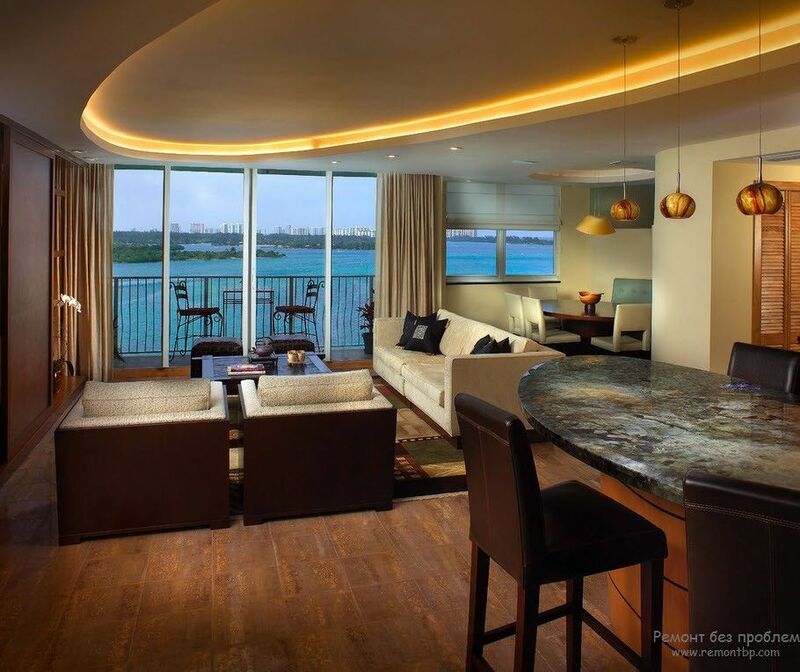 Choose colors based on the overall design of the room and your preferences. 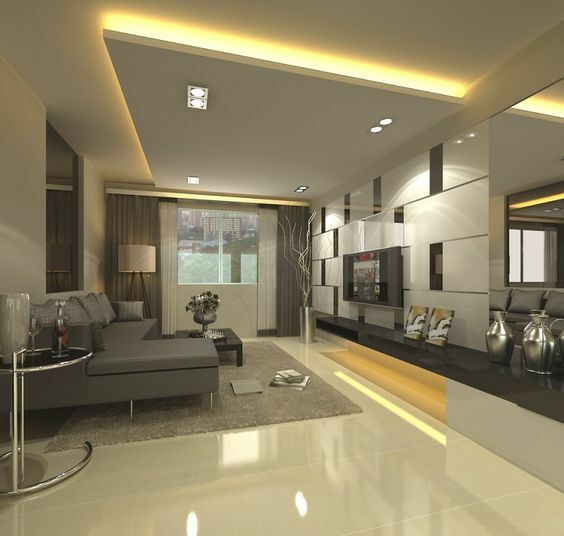 They look good in multi-level designs of a combination of similar tones. If the interior allows, choose contrast options: they will add freshness and originality.